I’m an outdoorsy guy, even though I claim to be ‘an urbanite’. I love hiking, as demonstrated by my many posts on different parks and hikes (with my absolute favorite and usually my first hike of the year being, not surprisingly, Quarry Rock/Indian Arm in Deep Cove in North Vancouver). But enjoying the outdoors AND ziplining really takes the cake as my favorite activity, as of this past weekend. Ziptrek Ecotours in Whistler invited me to enjoy the Ziptrek Bear Tour. Both JT and I are used to doing things that provide an adrenaline-rush and we are also both outdoorsy and ready to jump on adventures, and have a keen interest in sustainability. And I think that’s what sets Ziptrek Ecotours apart. The implementation of The Natural Step methodology throughout the whole experience. ALL through the course of the Ziptrek Ecotour, our 2 tour guides (extremely knowledgeable, friendly and warm) were explaining to us about how they apply The Natural Step (a sustainability-implementation methodology perfected if I am not mistaken in Sweden), and they also provided us with detailed training on how to make the most of our experience. Security is emphasized at every step of the process. 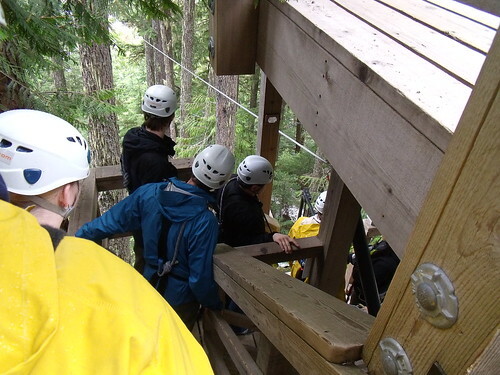 We had full-body harnesses, hard hats and at every point, we were monitored front and back by the tour guides. 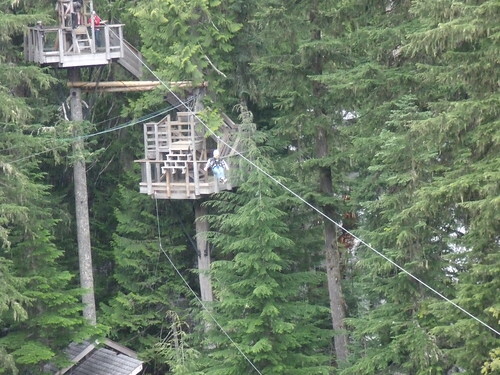 The Bear Ziptrek Ecotour offers 5 ziplines, 4 between Whistler and Blackcomb and 1 at the bottom of the hill, for training. Overall, I probably would have enjoyed doing the 10 ziplines offered in the Mammoth tour, but that is because I am addicted to adrenaline rushes. I was able to do a few pirouettes in the air, and while I heard people screaming, I think they did just for effect, as overall I never ever felt in danger or worried. Flying in the air through a zipline is so freeing, it is indeed an activity that must be done at least once in your lifetime. 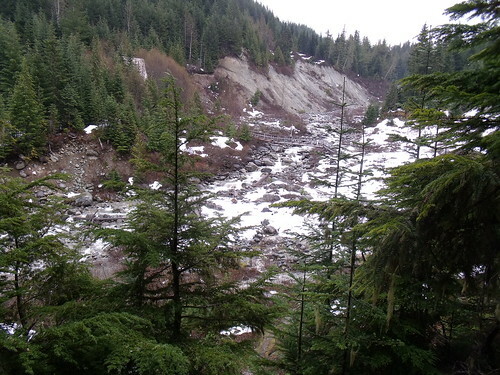 And I’m quite pleased with the outcome of my visit, because honestly, when I first thought about doing a trip up to Whistler, seeing as I’m not a winter sports person, I didn’t know what to expect. And now I know that there’s A LOT to do in Whistler when you don’t ski or snowboard. Seriously, it’s a very fun town. 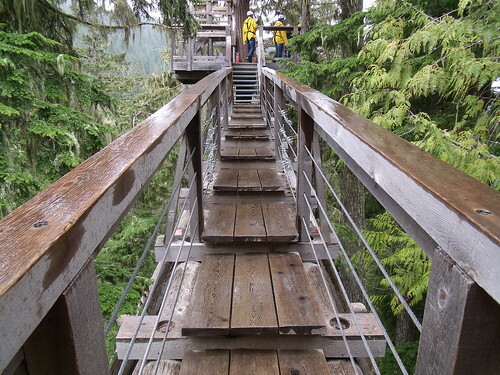 I strongly recommend you to try the Ziptrek Ecotours in Whistler if you are ever up there. Amazing experience. Prices for an adult are around $99 per person, and seeing as it’s a 3 hour experience, with a wonderful hike, beautiful views, commentary, training and guidance by 2 experienced guides and the ziplining, overall I think it’s a great value. I will definitely try it again. Disclosure: My Bear Ziptrek Ecotour in Whistler, BC was sponsored very generously by the company as part of my recent trip to Whistler to check out what to do when you’re not a winter sports person. I paid on my own for my guest on a media rate. I covered every other single expense I incurred during this travel, including (but not limited to) breakfast, lunch, dinner and transportation (except when explicitly indicated). I wasn’t paid to write this review, nor was I required to do so either. 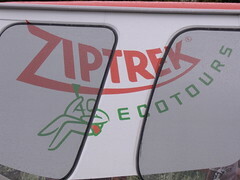 The purpose of this blog entry is just to describe and document my experience with Ziptrek Ecotours. In any review I write or publish on my site, I retain editorial control at all times. Should you have any questions/concern feel free to contact me via e-mail through my contact form. Where is that “Envious” button when I need it! 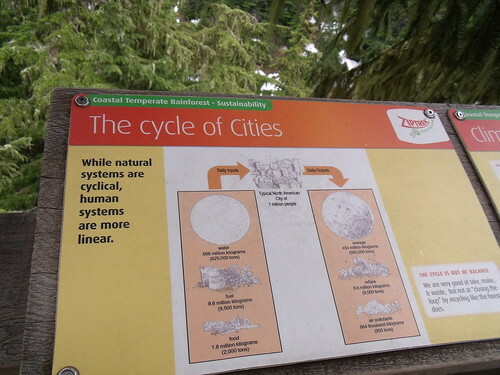 This is one of those things that I want to do in Whistler, but never get around to doing it. Perhaps this Summer, Robyn and I can make an effort to try and get checked-off our things we’ve done in Whistler list.